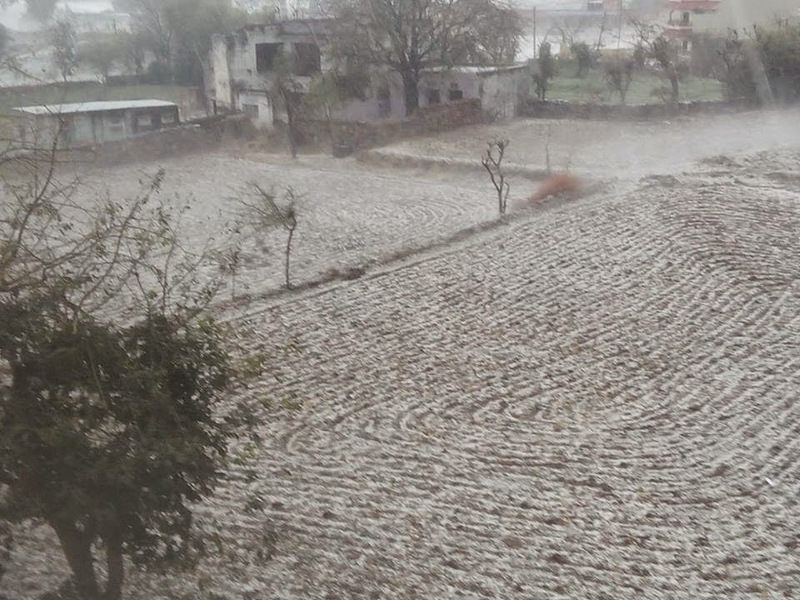 Pics of Udaipur and Nagpur Hailstorm on InterActive Page.. 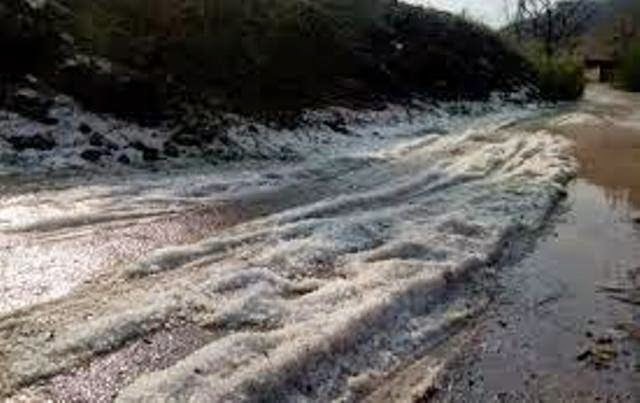 The trough of low at mean sea level over Lakshadweep area & adjoining Kerala now lies over southeast Arabian sea and adjoining Lakshadweep area. The western disturbance as an upper air cyclonic circulation lies as a trough in mid & upper tropospheric westerlies with its axis at 5.8 kms a.s.l. running roughly along Longitude 75°E to the north of Latitude 30°N. The trough of low at mean sea level over Lakshadweep area & neighbourhood now lies over Lakshadweep area & adjoining Kerala. 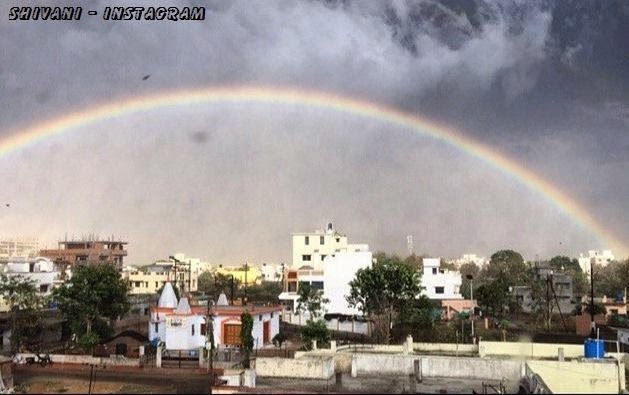 Coonoor heavy rainfall this year. 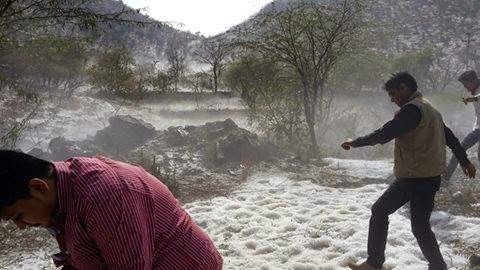 Its unsusal heavy rains after the drought in last summer. The western disturbance as an upper air cyclonic circulation lies over north Pakistan and adjoining Jammu & Kashmir and extends upto mid tropospheric levels. 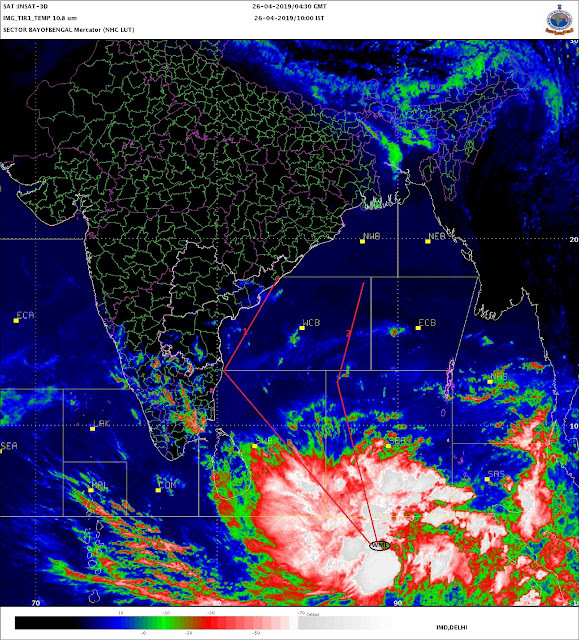 An upper air cyclonic circulation extending upto 0.9 km a.s.l. lies over Chhattisgarh and neighbourhood. The trough at mean sea level from Lakshadweep area to north Madhya Maharashtra has become less marked. The feeble induced low pressure area now lies as an induced low pressure area over west Rajasthan and neighbourhood with the associated cyclonic circulation extending upto 2.1 kms a.s.l. 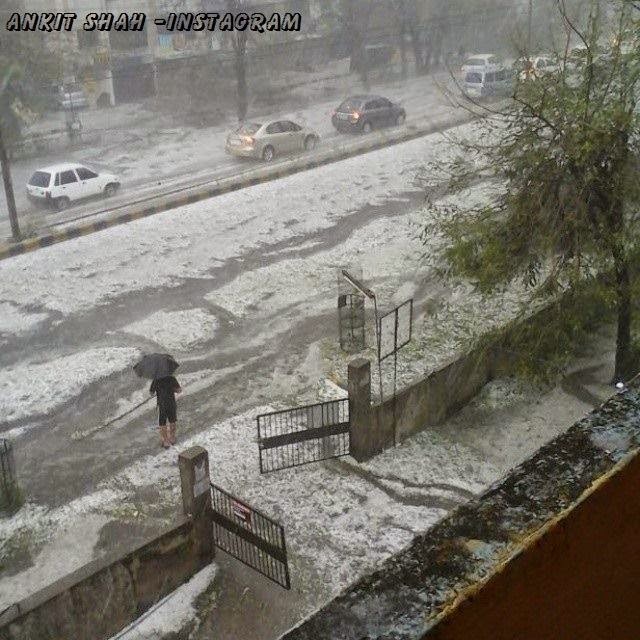 And Pics from Nagpur Storm on Sunday...Amazing Size !! The trough of low at mean sea level over Comorin area and adjoining Sri Lanka now lies over Lakshadweep area and neighbourhood. For 2nd day Kalakkad got batterd. Today it has got over 120 mm. Yesterday it got about 50 mm. 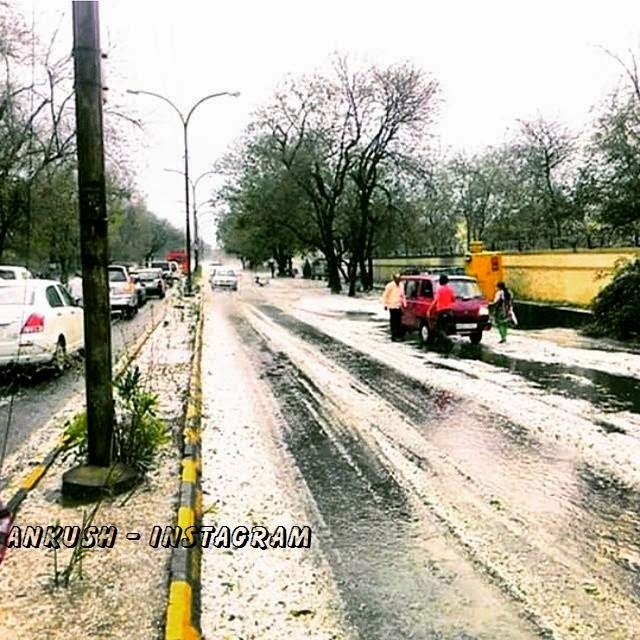 orange city - Nagpur excellent snaps - looks like swiss alps/kashmir !!! 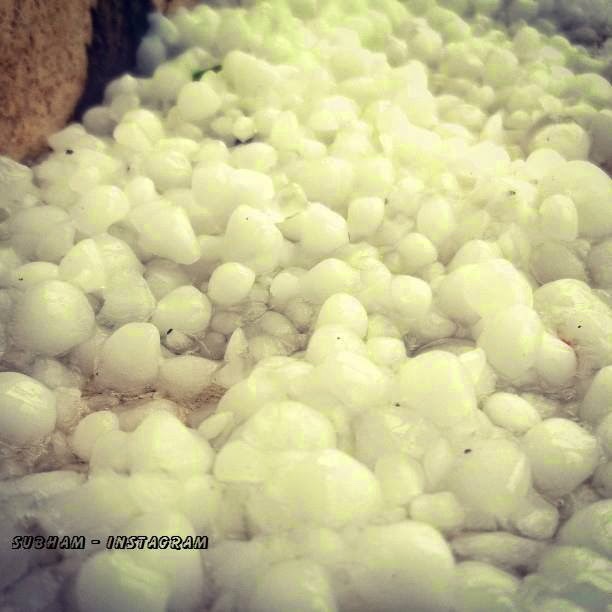 Apparently this is 3rd year in row for interior Maharashtra to receive massive hailstorms. 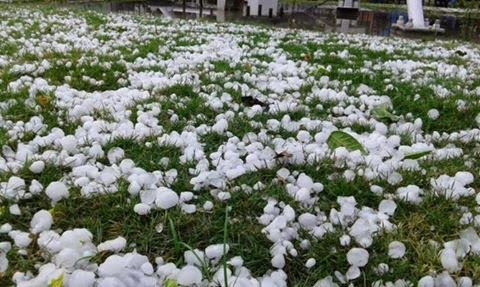 When will interior KAR/AP/TN receive hail stprms? Myself remember BANG used to receive some 10 years back. abizer: No rains in Mumbai and Konkan in this week...but getting hotter, From Thursday, Mumbai will again touch 36/37c. Hyderabad also no rains and by 24th, will be hot at 38/39c. 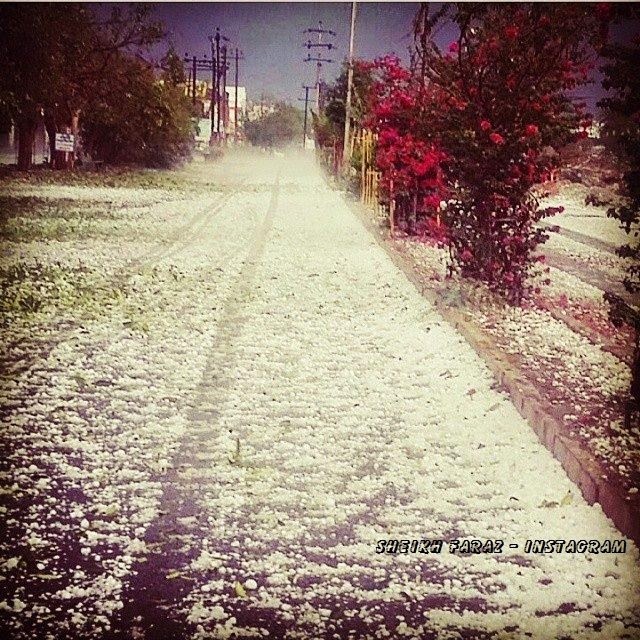 sset: yes, severe hailstorms are hitting Mah since last 15 days. 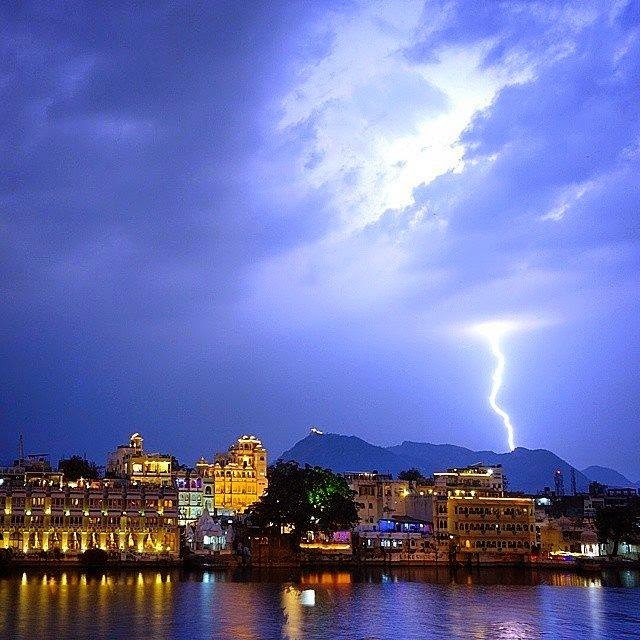 Of course you say when Kar will get such storms, but remember, they cause a lot of damage. I have to regularly warn the farmer. 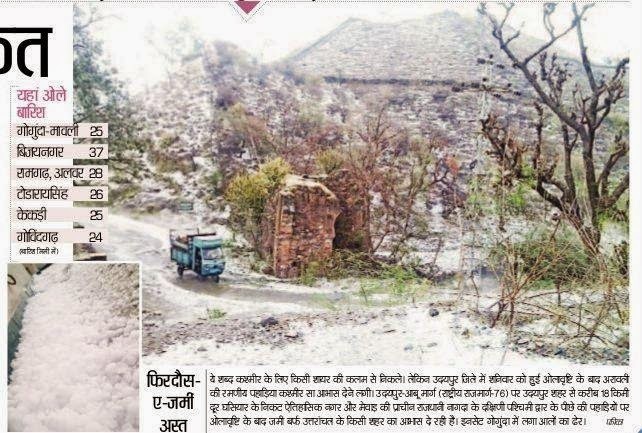 And yes, even Raj battered by such storms..a desert state ! !